I was rather reluctant when I got an email from J.L. 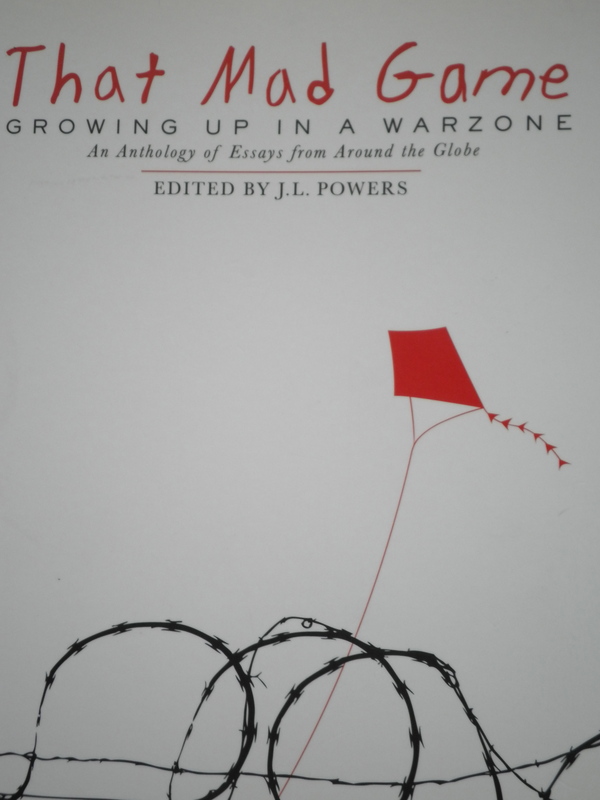 Powers asking me if I would be interested in contributing an essay to an anthology she was editing about children growing up in warzones. I am uncomfortable talking about Lebanon because it feels rather narcissistic given how many children suffered far more in Lebanon back then and since those days. So we agreed we could make it about Lebanon a little but more about a boy from Gaza named Mutassem, a ten-year old amputee who had came to Los Angeles for medical treatment through the Palestine Children’s Relief Fund, a U.S. non profit that helps sick and injured children throughout much of the Middle East. During his time in the US, he had become like a fourth nephew to me. In reading the stories of the other contributors of the That Mad Game (Cinco Puntos Press, 2012), I realized that some form of war is actually a given in most of parts of the world today, whether a war at home or one for which your country’s soldiers are exported. For example a whole generation in the US that has now grown up seeing their parents go off to battle zones (often in the Arab world). As Jerry Mathes and others in That Mad Game talk about surviving parents’ PTSD, it makes you wonder what psychological battles loom ahead for the young children of today’s soldiers everywhere. The stories in That Mad Game come from around the globe, including birth in a US Japanese Internment camps, a Bosnian love story, an odd friendship with a Taliban mullah, fear of disappearance in El Salvador and Mexico, rescue in Holland, the importance of water skiing in post revolution Iran, exile in China, and other stories from Cambodia, Vietnam, South Africa, and Burma. Perhaps the book will help young people and adults today understand that they are part of a small world that has great moments of joy but also great misery, the latter which is perhaps in their hands to prevent–which perhaps they will understand better reading these authors, the children of the recent past, today’s wounded adults.